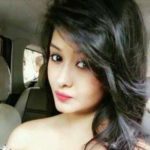 You have probably received a ton of wedding invites already and are preparing to look your best on these occasions. You may even have to attend 2 weddings in a day, so how to go about all of this without any last minute headaches? Also, don’t you think a lot of unnecessary money is spent on these weddings of people you don’t meet in ages? So how to prepare for this wedding season efficiently? And, how to go through the season smoothly? Do not worry we have the answers for you!! 1. Don’t buy your outfits, rent them! If you have multiple weddings in the same circle of people and do not want to repeat clothes, worry not, simply rent them! 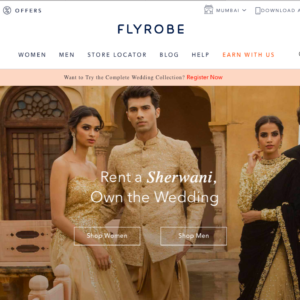 Flyrobe.com lets you rent clothes! This leads to you spending a lot lesser money on clothes you probably won’t ever wear again! They have both ethnic and western wear, so you’re sorted for the bachelorette party too! 2. Master one makeup look. 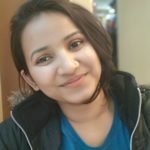 Weddings take a ton of time and a ton of arrangement, so if you’re a part of the wedding trousseau, there probably isn’t enough time for you to get ready, for you probably have a ton of work to do. 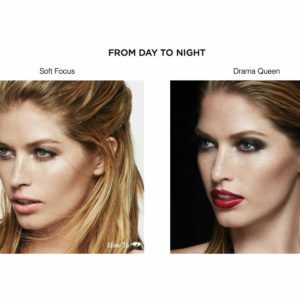 In that case master one makeup look that you can modify from day to night with a simple change. This will save you some time as you won’t be sitting in line at the community makeup artist. 3. Invest in comfortable shoes. One cannot stress enough on the need of comfortable shoes. We as women tend to let comfort go on a ride for the want of a prettier shoe. Weddings tend to be a lot of standing and running around, and you do not want to be the one who has to keep wearing and removing their shoes all the time, so save yourself all that trouble and opt for platform heels to ease the pain, or comfortable block heels and wedges. Opt for something that you can slip on as opposed to something that you have to buckle up, to again save yourself the hassle. Or simply, opt for mojdis! 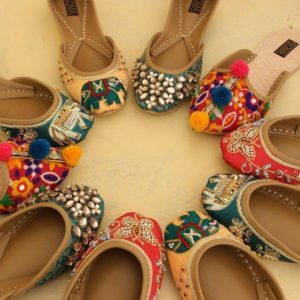 chuck the heel and go for a nice traditional mojdhi, they are easy slip ons and you can buy multiple for all your different outfits! 4. Plan your entire outfit in advance. Planning your entire outfit in advance and packing it away saves time and puts you far away from unwanted worry. However, make sure to plan your outfit to its nitty-gritty, from what earring to what anklet and shoe. Also make sure to have tested your undergarments with your clothes, for you need the right backless bra for the blouse and the right petticoat colour for your sari. Remember these tips and own this wedding season with your own sparkle!